1. First foundations of mathematics (details) - all in 1 file (29 paper pages) - obsolete pdf in 13 + 7 pages. Galois connections (11 pdf pages). Rigorously it only uses parts 1 (without complements) and 2. Its position has been moved from 3 for pedagogical reasons (higher difficulty level while the later texts are more directly interesting). The beginning was moved to 2.11. 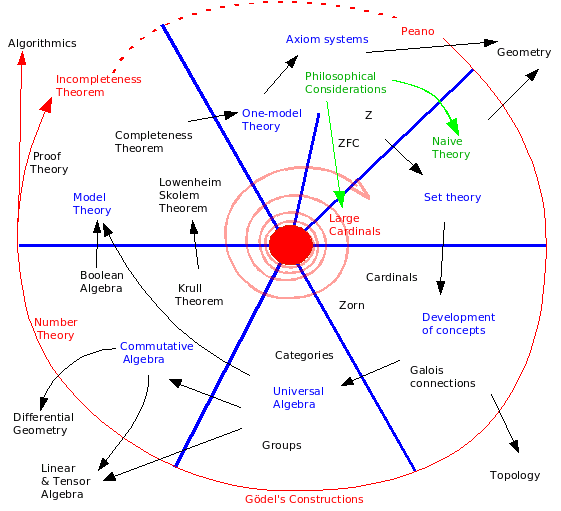 I wrote large parts of the Wikipedia article on Foundations of mathematics (Sep. 2012 - before that, other authors focused on the more professional and technical article Mathematical logic instead; the Foundations of mathematics article is more introductory, historical and philosophical) and improved the one on the completeness theorem. Many times I lose access to my Facebook account because of the biggest security hole of Facebook.